It's become an oft-repeated mantra by politicians in the West that they have built a rules-based international order that is under attack and needs protecting. One of the biggest building blocks was put into this western "rules-based" international order exactly 60 years ago by Britain and France, with a little bit of help from US and Israel. So what are those "rules" now applied to Syria and those who support her? Confuse public opinion by misrepresenting the actions of the opponent and muddying the waters with contradictory legalistic arguments. President Gamal Abdel Nasser was accused of "nationalizing" or even "expropriating" the Canal, to which he replied that he could not possibly nationalize what was Egypt's sovereign territory. He nationalized the Company that operated the Canal, and offered to buy out foreign shares at the market price, so it wasn't an expropriation either. He had been left with no other option to raise revenue for the construction of the much needed Aswan hydroelectric dam once the US refused to lend him money. "…regardless of international legal aspects, interested western governments must consider possible economic, political and military measures against Egypt to ensure freedom of transit," a telegram from the US Embassy in London to the State Dept. on 27 July 1956 read. This — before there was any indication that freedom of transit was under threat. Nasser nationalized the Canal Company to raise revenue for the building of the Aswan High Dam, so more than anyone he was interested in as much traffic going — and paying — through the Canal as possible. President Nasser was habitually called, both privately and publicly, a new Hitler, a bloodthirsty dictator, a megalomaniac intent on seizing other Arab countries, a Muslim fanatic, trying to control the entire Muslim world. Suez was likened to Rhineland, into which Hitler marched unopposed (by the West); and calls for moderation in responding to Egypt's legitimate action — a new Munich. Nasser, the declassified Foreign Office papers reveal, had to be stopped by force because it was the only language he understood. "Freedom of navigation in peace and in war" was the rallying cry from London and Paris after the nationalization of the Suez Canal Company. They tried to impress on all shipping nations that they were standing up for their rights against an unpredictable dictator who could block the free passage at his whim. Nasser's assurances that the Canal would remain open for navigation were dismissed as false promises. But historically, it was Britain who had abused her control of the Canal. In 1878, during the Spanish-American war, it put restrictions on the use of the Canal by the Spanish flotilla, going to the Philippines. And it was Britain's aggression against Egypt, in collusion with France and Israel that had blocked the Canal for a long time. Immediately after the Egyptian Act of nationalization, Britain, France and the US called an international conference to decide the future of the Canal. "Russia might acquiesce in some sort of international control of the Suez canal, on which she would be represented. 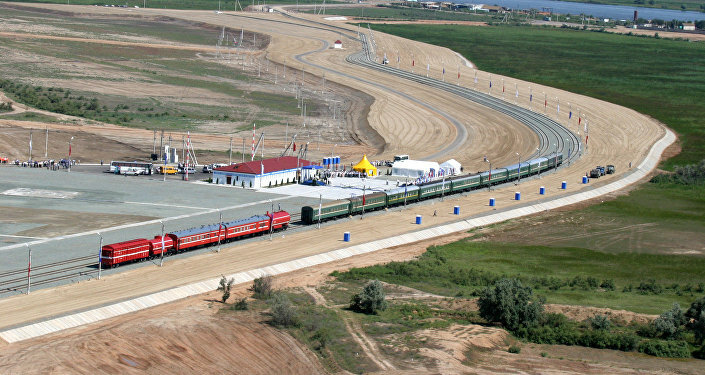 This would set two useful precedents for Russia: (i) It would create international control of international waterway with Russian participation — leading on to breaking the US monopoly of Panama and the Turkish monopoly of the Dardanelles; (ii) It would give her a seat on the international body taking over a major western asset in the Middle East: pointing towards a similar solution for western oil assets too." Nasser acted on Moscow's instructions, the British and the French said, and his next step would be to seize oil reserves across the Arab world. Those in the West who wavered in their support for the hard stand of London and Paris were accused of being manipulated by Moscow. The non-aligned Yugoslavs went out of the way to dissuade London from equating their position to that of the Soviet Union, insisting it was in unison with the Indian one. The Greek Government was so worried about being accused of sharing the Soviet position that it pulled out of the conference altogether. Spain was put under pressure by the US to fall in line with the Anglo-French approach to the Suez issue. 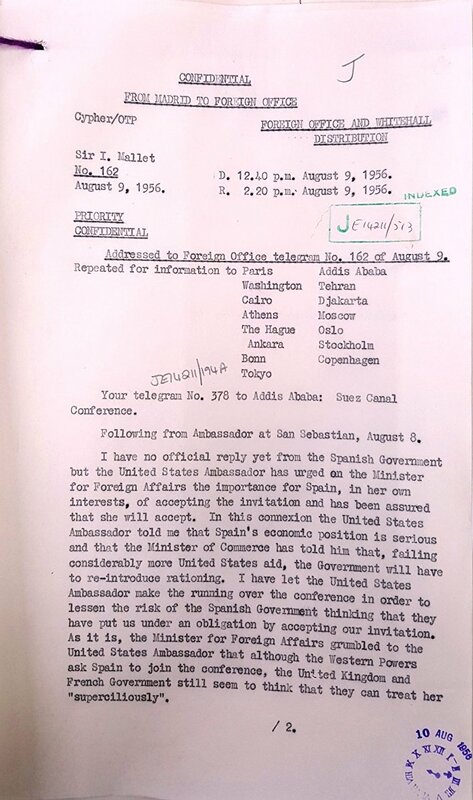 From the Foreign Office cables it follows that more financial aid from the US — for which Spain was desperate — was linked to Spain taking a harder line despite her desire to keep up her traditionally good relations with the Arab world. The Company of the Suez Canal encouraged foreign staff to swear allegiance to the old management and prepare for a mass walk out to disrupt the work of the Canal. In its messages to the staff the Company claimed it had full support of the British and French governments. There were reports that British and French Consuls in the Canal Zone were urging canal pilots to leave their jobs, trying to create an impression they were being forced to work under duress. The British and French governments did acknowledge that such a policy could land their citizens in the Canal Zone in a lot of trouble but were reluctant to restrain the Company management in their incitement because it served a useful purpose. And that's what the British and the French set out to prepare for even before they called an "international" conference on August 3. 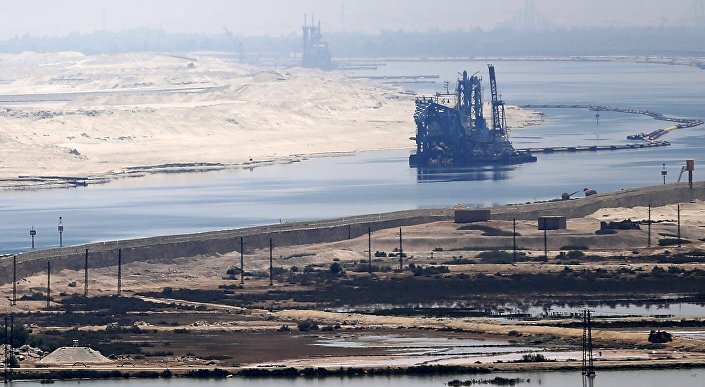 On July 31, the Defense (Transition) Committee, "invited the Suez Canal Committee to study the period between occupation and international control of the Suez Canal." On August 3, at an informal meeting of the Suez Canal Committee, the Admiralty made proposals to what should be done "after the re-occupation of the canal." It suggested setting up a Canal operating authority as soon as possible. Some thought that the Admiralty was going "too fast" but agreed that a working party to study the future administration of the canal should be set up as soon as possible. Actually, the British had planned the re-occupation of the Canal Zone even before they signed an agreement with Cairo to gradually withdraw their forces from their Canal Base. The plan was called Antiquary and envisaged re-occupation of the Canal in case of an "emergency." This planning never stopped and was evolving with the gradual draw-down of British forces in the Canal Zone. As early as January 20, 1956 the Home Fleet sailed to the Mediterranean to beef up the Royal Navy there. So the British were preparing for an emergency of their own making — in March 1956, they launched a plan to weaken Nasser. The refusal of London and Washington to finance the Aswan dam was a deliberate provocation to get an excuse to establish "international," i.e. Anglo-American control of the Canal. However hard the British and the French tried to persuade the world that Egypt had committed a major breach of international law, they could not come up with a truthful enough reason to take military action against President Nasser. And then the French had their "eureka" moment: Israel, with whom they had a close relationship since the days of the Jewish guerilla war against the British Mandate in Palestine, was unhappy about Nasser and his program of rearmament. The French suggested to the British that Israel could deal a "preemptive" strike against Egypt, allowing the Paris and London to intervene as "peacekeepers." After initial British prevarication due to poor relations with Israel, the French succeeded in bringing the three conspirators together at a villa in Sevres, just outside Paris, where they struck the deal known as the Sevres Protocol. Under the terms of this protocol Israel attacked Egypt creating an excuse for Britain and France to go to war. The declassified papers show that the ultimate objectives of the military action against Egypt did not stop at re-occupying the Suez Canal. If need be, the British officials said, the entire country of Egypt would have to be occupied. This would lead to the fall of the Nasser government and could help to weaken, and eventually topple, the nationalist government in Syria. That would complete the "arch of regime changes" that started with the CIA-led violent ousting of the Iranian government of Mohammad Mossadeq in 1953, who had the audacity to nationalize the Anglo-Iranian Oil Company, a precursor to BP. The declassified Suez papers cite the anti-Mossadeq coup as having set a good precedent of dealing with Egypt and Syria. The declassified Foreign Office files contain numerous exchanges between British diplomats and government officials, discussing how to refute allegation of "collusion" with Israel and France in invading Egypt. Prime Minster Eden had the British copy of the Sevres Protocol burned and tried to persuade the French to destroy their copy. Although the French refused citing that the Israelis insisted on keeping their copy (as insurance against being made a scapegoat), mysteriously enough their originals had been "misplaced." Backstab your allies, so that they don't get funny ideas that they are in charge. Throughout the crisis, the United States in their private conversations with the British and French officials did not rule out military action against Egypt, although publicly they called for a diplomatic solution. The declassified Foreign Office papers reveal that British officials were sure that when the push came to shove Washington would support their action. To their horror they found out that Washington chose not to. But it was too late. Britain was out of the Middle East and in came the US. Then it was the turn of the French to be replaced in Vietnam by the United States. They were now setting the rules.